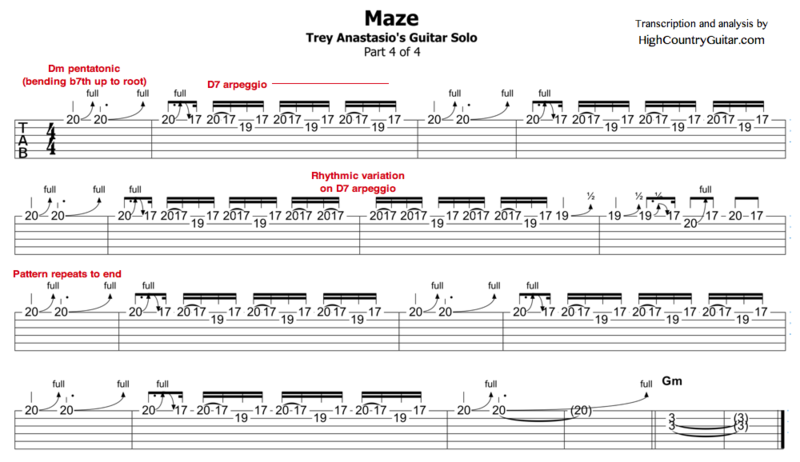 The studio version of “Maze” is great for study because it provides a virtual clinic in “Machine Gun Trey.” It also shows some examples of how Trey mixes blues-based ideas (specifically, the mixing of major and minor thirds, and the use of the minor pentatonic scale combined with the major third) with mode-based ideas (mixolydian and dorian). 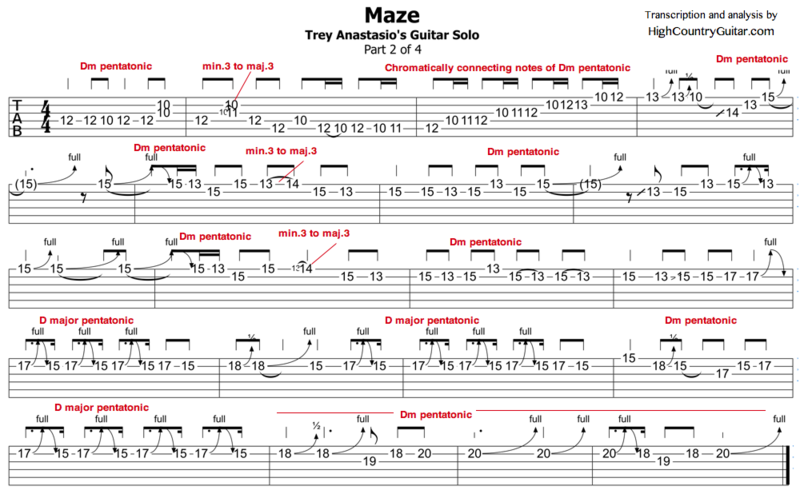 Here’s a clean tab of the complete solo in PDF format, ready to print, without annotations (2 pages). 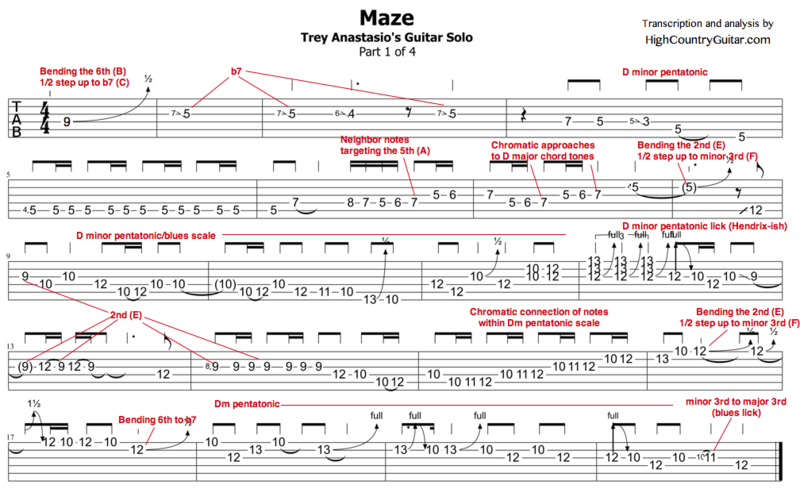 Scroll down for audio tracks and annotated tabs. 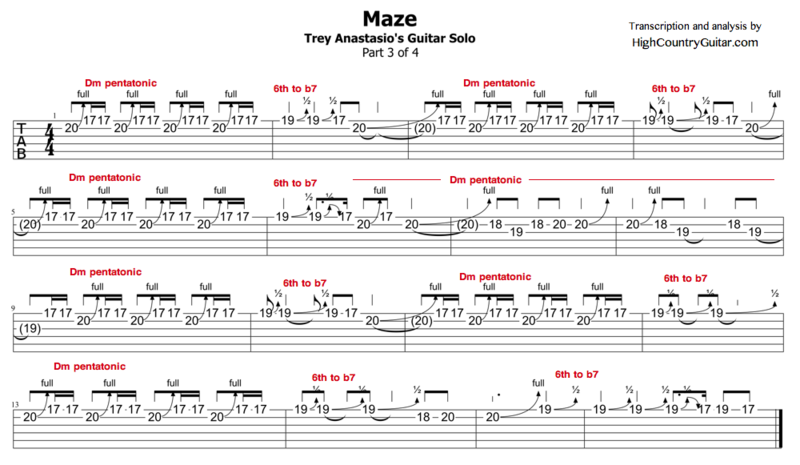 And here is the audio of the solo, one version at full speed and one version slowed down to 75% speed.